Denver, a great American city. By definition, great cities everywhere come with a bigger price tag. Those prices are increasing at an even greater rate- U.S. rents rose to an average of $1,408, the 47th straight month of gains in 2017 according to Zillow. The thought of moving to a smaller, less expensive town is not uncommon when retiring. During the Great Recession, when I was struggling to find contract work, a few people suggested that I move somewhere with a lower cost of living, like Irving, Texas they said. There are even cities in America that I could live in for under $40,000 a year, like Canandaigua, New York, or Munhall, Pennysylvania. That thought of moving to Irving, Texas panicked me in a way that the idea of moving to a foreign country had not. Realizing my reaction was more than a little strange, I had to think about why. Being from a small town in southwest Oklahoma and attending the University of Oklahoma, I had spent a fair amount of time in Dallas. I knew the museums and art walks compared well to any big city. My friends in Texas wore fashionable clothes and had nice cars, what more could a girl want? So I pondered that ticky-tacky future, the condo in an “okay” area that I could afford, the malls, the trips to Kroger and the conversations I would have over dinner. At that time, I had never met anyone of my profile, single, no children, over 50, who had moved to Mexico. I surveyed my friends for their opinions. Other than vague comments, they seemed to realize the disingenuousness of promoting an option they would never consider themselves. When I asked them whether they were more likely to visit me in McMinnville Oregon or Mazatlán, Mexico. They laughed but did not directly answer the question. Moving to Denver five years earlier, alone and without contacts had been hard, even with a grasp of the native language and familiarity with the currency. Adventurous as I am, in moving to Mexico I decided not to be dropped down, commando-style, alone into yet another unfamiliar territory. Once I started digging and networking, I began to hear about someone-who-knew-someone who had made the move south, way south. Millions of people know the “secret” of Mexico, maintaining homes and second lives either as full-time or part-time residents, living happily out-of-the-box. I cannot estimate the number of people from the U.S. and Canada who live there part of the year, not the mention all the French, Italian and Germans I meet when I go out in Mazatlán. Some internationals live quietly here. Others are wild. They create conversational salons in the expat bars and restaurants. They construct rafts that they float up and down the streets of El Centro after big rain storms. They laugh either softly to themselves or loudly with their expat friends - as if they were on a caper. They have crossed over, likely through their fear of the unknown, through common misconceptions about Mexico and throug human susceptibility to do what other people do. As Oscar Wilde said, "Anything that is popular, is wrong." In every meaningful conversation among expats in Mexico passes an unspoken, mutual acknowledgement of a fellow countryman who has also questioned the status quo and came out on the other side. Next up: We like to show videos of the variety of lifestyles you can have here, from the funky to the sublime. 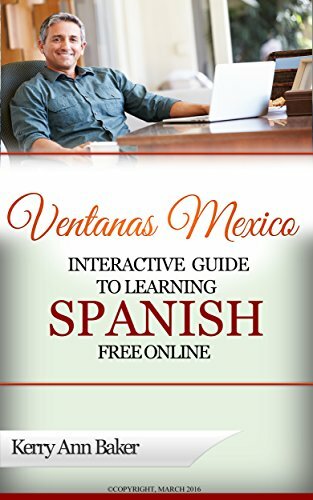 I am a partner with Ventanas Mexico and author of the "Interactive Guide to Learning Spanish Free Online," a curation of the best Spanish language tools on the web, linked and organized into lesson plans. Check our reviews on Amazon! 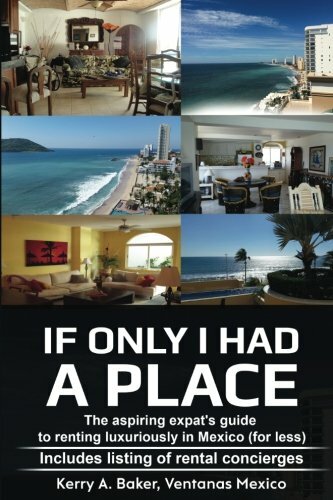 In July, 2017, I also launched "If Only I Had a Place," a guide to renting luxuriously in Mexico.